KVG is a pack of energy. Whatever it is that she exudes – be it love, scorn, hate – never flows, it oozes out of her. She is the type that adages like “dynamite in a small package” were made for. Today, she celebrates her birthday but refuses to mention her age. “She is 28!” shouted Phathisani but she refused to confirm it. The first time I saw Kudzai Violet Gwara I was forced to walk up to her and ask who she was. She impresses first with her beauty, then with an infectious smile that most know her for, then with a velvet voice, then with her fashion style . . . the list is long. But it is her confidence that stands out above all the aforementioned characteristics. 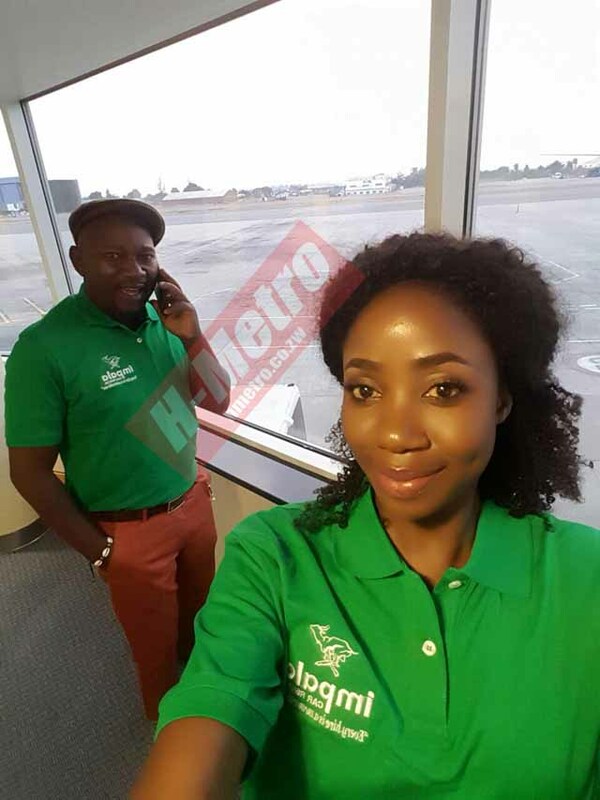 She had walked into the H-Metro Newsroom with a bunch of four or so H-Metro boys, among them Rest Mutore and Blessing Masakadza, back in 2013. Her voice was piercingly unique but I did not realise she was the Star FM starlet. She was 22 but looked 18 at most. It was the way she dovetailed into the H-Metro boy band in her company that made me raise my head from whatever was keeping me busy on my PC. I may not remember the exact sentences but KVG threw in the street (or is journo) lingo that to this day is a preserve of young male journalists so effortlessly into the conversations. “Boys dzangu! Ayewa tipei sando!” she would say and fist the crew. It was amazing. I smiled to myself as she had too much energy to notice me while the boys were glued to her. They had not even walked three metres into the newsroom. I had never seen such a beautiful tomboy. Today, five years later, she still wears the same energy, still looks like a teenager and is even prettier. Yesterday I knew it would be her birthday today and wanted to write this piece about her. I was confident there is no question that I was going to throw at her that she would shy from answering, outspoken as she is. Soon after our “Weekend Flashback” show, I told her I had to ask her a few questions for my article the following day. “Ayewa Uncle, handisi kuda kubuda mupaper!” she retorted. “Your first kiss; who and when?” I asked hoping to unsettle her. “I can’t even remember,” she replied without flinching. Then she started singing along to a Zimdancehall song with her hearty laughy smile. “Going live Uncle Charly!” yes I was in the studio as we held this interview and I kept disturbing her with questions each time she went off air. “Welcome to it, the third and final hour! That’s how we kick it, that’s how we do it . . . Fire! (allows the song to run for some seconds) Moto! Hanzi Panomhanya Munhu! (Sings) Moto Wabvira! . . .
“Rakaipa riddim iro! It’s my favourite riddim of the moment!” she adds off air. KVG never saw a radio personality in her. At Mutiunokura Primary School in Mufakose, she was popular for athletics. “I was a sprinter in Team Red. 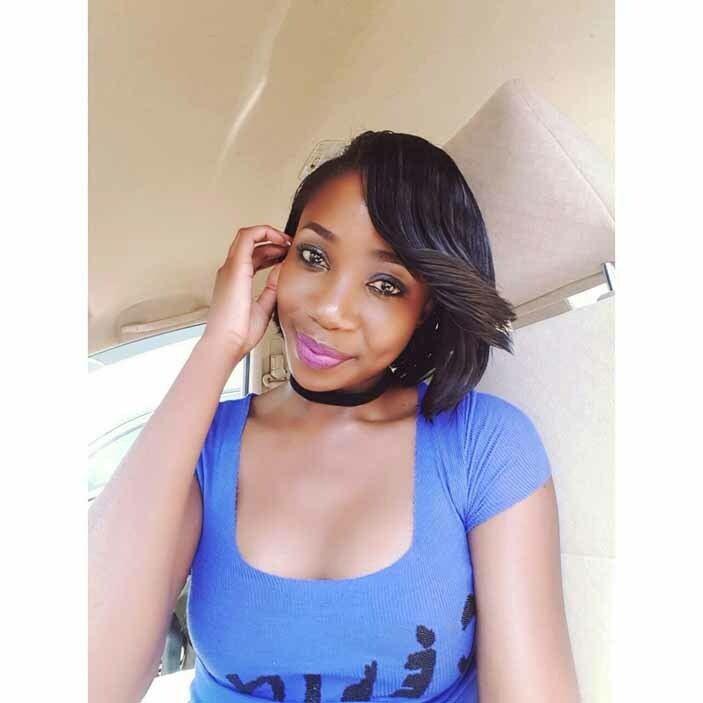 Ipapo pfungwa dzekuita DJ dzanga dzisati davapo,” she quips. But at Msengezi High School in Mashonaland West, the young Kudzai tasted her first glimpse of fame. 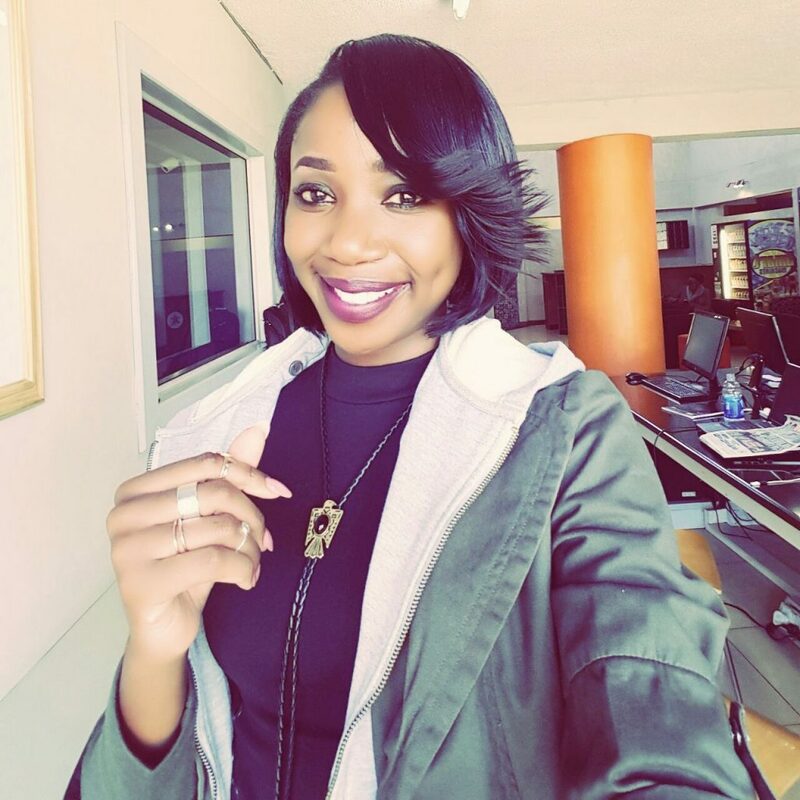 KVG had previously worked for Julius Nyerere Spar – that was her only work experience. 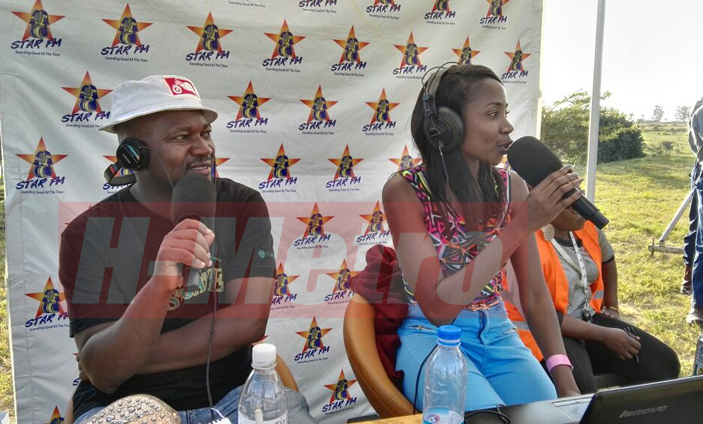 The chatterbox still remembers her first show on Star FM. “I don’t ever want to listen to it! It was with Ayati and it didn’t help that she had done radio before and I had not. Moreover, it was day time radio on The Breeze. She was to gain her confidence on air when she did her first solo show. 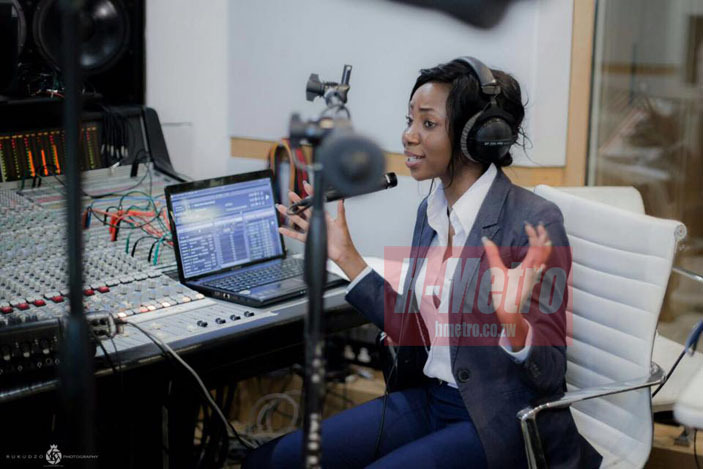 That made a name for her but that name was to shoot to even greater heights when she was paired with Phathisani Sibanda for the 326 Express show that has turned them into Zim radio’s First Couple. “I didn’t know Phathisani that well before we were paired as we had only done one midnight shift together. She went on air and started singing along. I could not help but appreciate her vocals and it made me ask whether she is a failed musician. “What do you mean am I a failed musician? What’s that supposed to mean?” I had touched a nerve. “Akawinner Star Brite mwana uyu, I think that year they had poor contestants,” he laughed. I ended the interview by asking the most important question. “Is he the one?” I had to ask again. “He is the one right now!” she laughed.